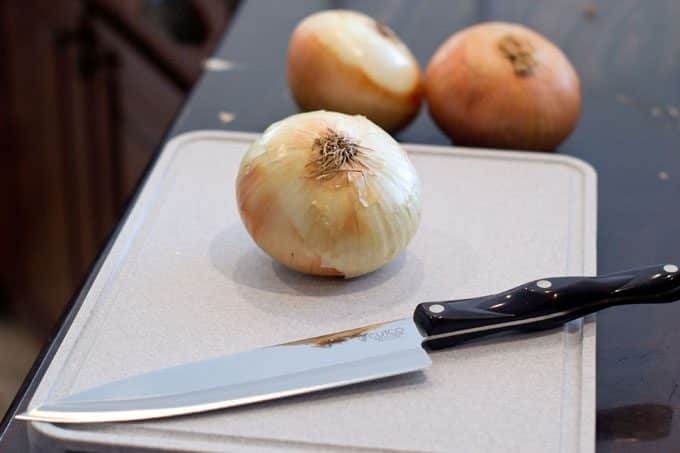 The world record for chopping an onion is only seven seconds. 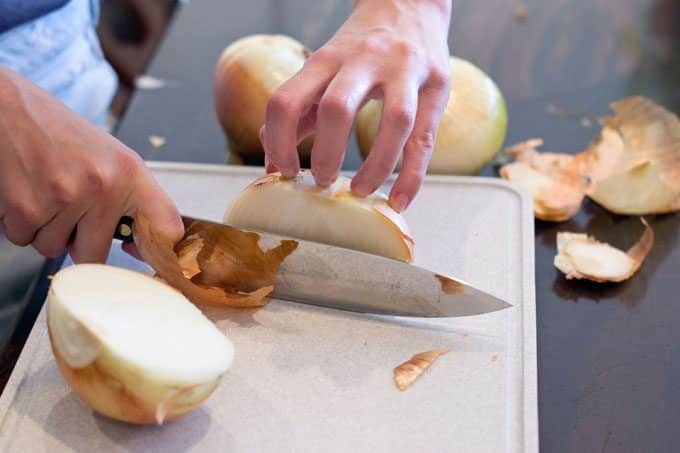 Think you can do it faster using our onion chopping guide? 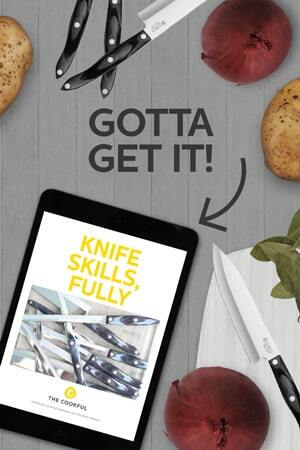 Our Knife Skills series is sponsored by Cutco. 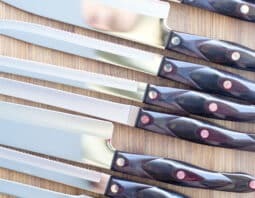 Home cooks who use Cutco understand that sharp knives that are comfortable to hold make cooking easier and more enjoyable. Learn more at www.cutco.com. 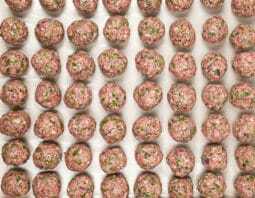 Onions are in almost everything we eat (except deserts of course). 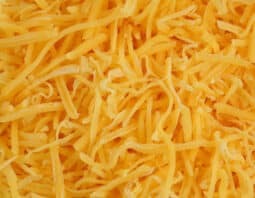 They can be caramelized, chopped and added as the base of many dishes, sliced thin, or even made to look like a flower. 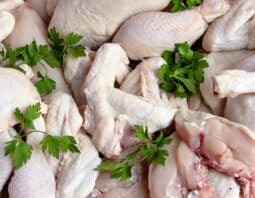 Today we are going to look into a technique to chop an onion fast, safe and effortlessly. You’ll be all diced before your tears decide to fall out! 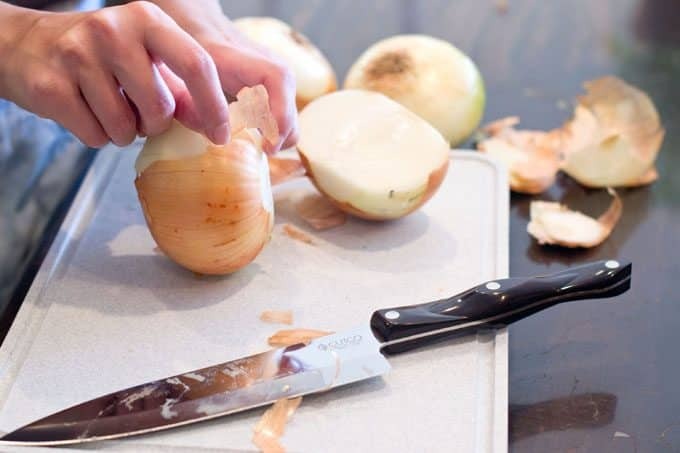 Hint: whenever you chop strong onions, which in my case is any onion because my eyes are really sensitive, I can usually stop the tears when I turn on a faucet and put my head above the faucet. Maybe it clears the fumes or maybe I’m crazy. Another, slightly more drastic thing to try, is some onion goggles. Yes, really. These exist as a thing that you can buy. Ha! Pick out your onion. Ain’t it a beaut? Make a cut vertically through the middle of the root to the bulb. A clean cut through the onion. 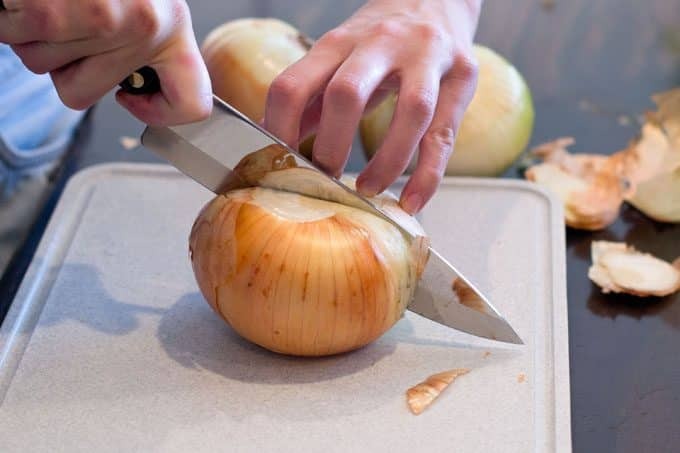 Peel the skin off the onion using your fingers. 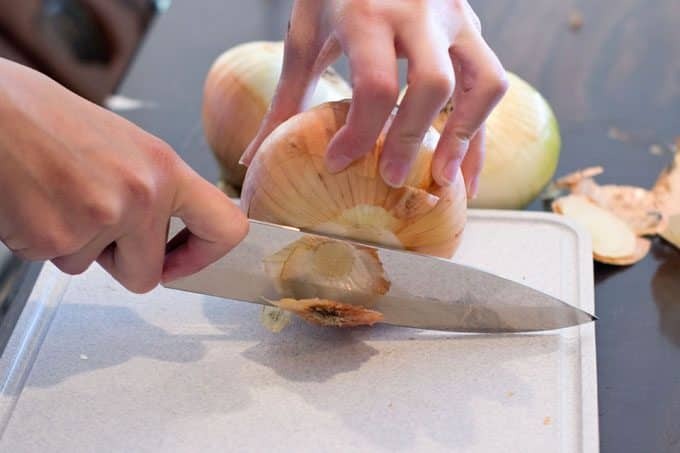 If you need, peel off the outer layer of onion if it is soggy or ugly, or if you can’t seem to get the skin off any other way. 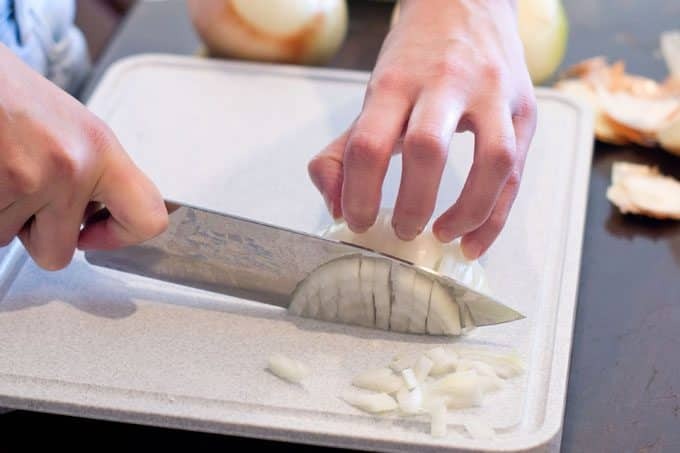 Once the onion is peeled, take one half and place it on the cutting board. Make vertical cuts making sure to leave the root intact. I cut each slice about 1/4 inch. This is the onion after the first cuts it should look like a fan. Next dice your onion using horizontal 1/4 inch cuts. These will go through the entire onion. 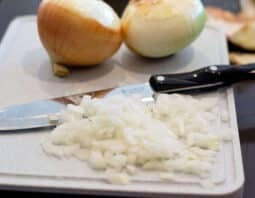 Repeat with the other half of the onion and use in a recipe which calls for diced or chopped onion. Slice the stem and root off the onion. 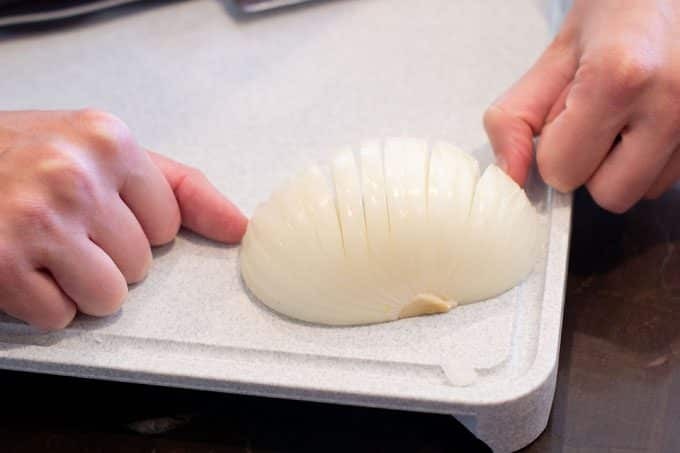 Peel the skin off the onion using your fingers. 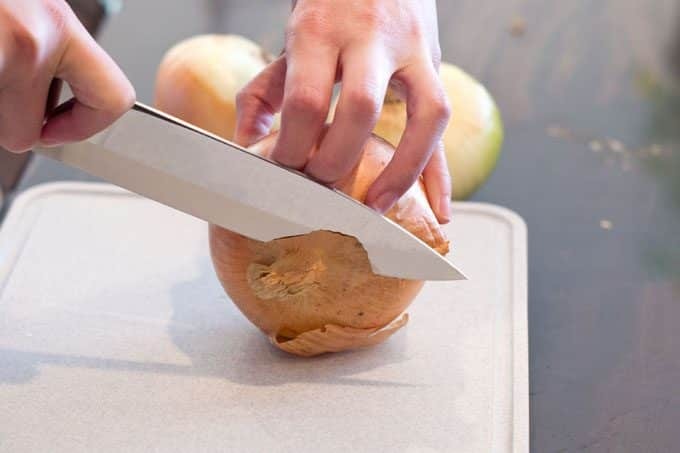 If you need, peel of the outer layer of onion if it is soggy or ugly. 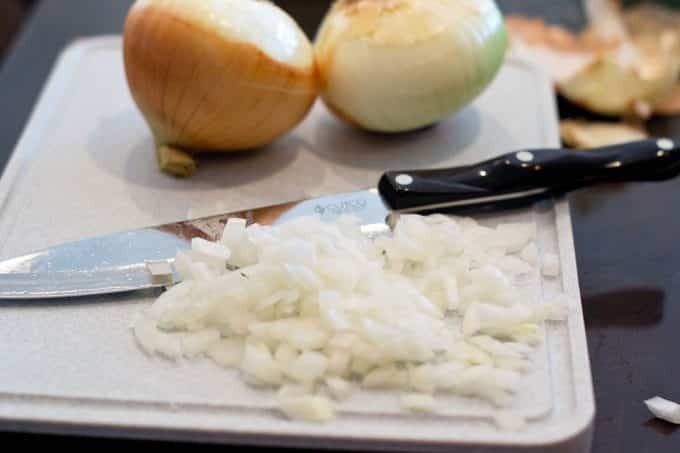 Once the onion is cleaned, take one half and place it on the cutting board. Make 1/4 inch vertical cuts making sure to leave the root intact. 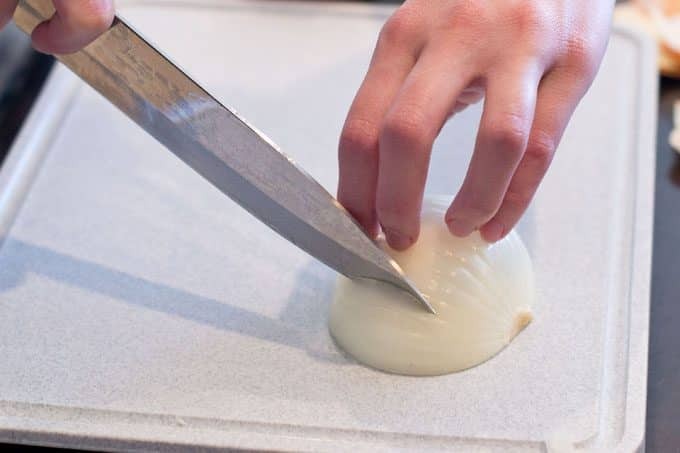 Dice your onion using horizontal 1/4 inch cuts. These will go through the entire onion. 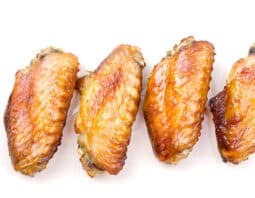 Use in recipe as directed.